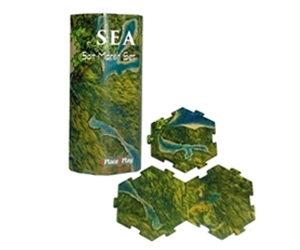 The Salt Marsh set includes 70 double-sided tiles and gives you the ability to bring your sea faring game to the shore. The dramatic look of these tiles can’t help but enhance your Seascape. 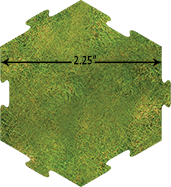 With the addition of the Salt Marsh you can create a beautiful transition of land and sea. Whether you are using it to create a marshy wetlands from your Natural Harbor or a transition to your Streams from the Land Series, this striking set gives you the beauty and complexity of water and land intersections. It’s important that you do not use baby wipes or wet towelettes to clean the tiles as they contain ingredient that can damage the tiles.